Jerlyn Associates Inc., an independent insurance agency operating in New Jersey since 1965 is a full lines insurance agency offering competitive rates and coverage’s to our clients for all their insurance needs. Our agency offers personal lines, commercial lines, flood insurance, life, health & financial services. 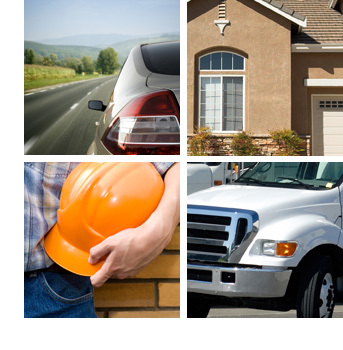 The staff of Jerlyn Associates Inc. provides excellent service to all our clients from the new driver with their first car or the first time buyer of their home, to the business needs of a contractor and business owner, for their property & general liability, commercial auto, workers compensation, umbrella insurance needs. At Jerlyn Associates Inc. we take the time to work with our clients to offer them the best insurance coverage’s for their needs. With a wide range of personal insurance coverage available to protect your auto, home, condo, apartment, vacation home, boat, motorcycle, jewelry, liability, we offer the personal consultation that the client wants so they fully understand the insurance coverage’s they need. Jerlyn Associates Inc. provides insurance consultation for the needs of our small business client to that of a multi million dollar organizations. Our staff is ready to provide all your insurance needs, health 401K Plans, and other needs your organization may face in our complex business world. Call us today, our toll free number is 1.800.223.7160 for more information and for your convenience you can fill in our online contact form. > Click here to start the online request form.